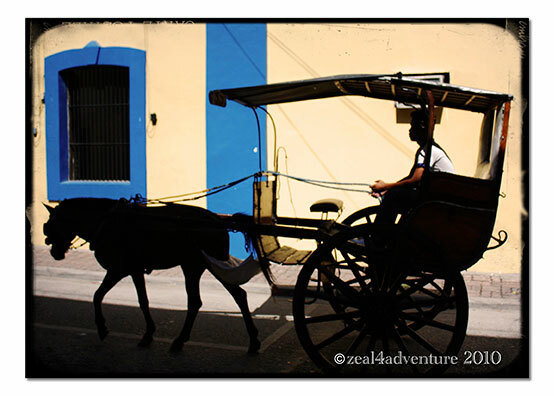 Kalesas or horse-drawn carriages abound still in Vigan, Ilocos Sur. Here are some snaps from different times of day. And here’s 2 snaps in Sepia. 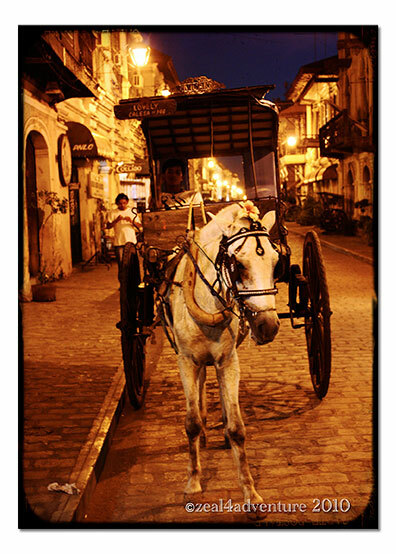 Tune in for more of Vigan. What a lovely post with gorgeous sepia shots. The two last pictures are just georgeous! Really nice! wow those are great photos! old era looks really great in sepia! 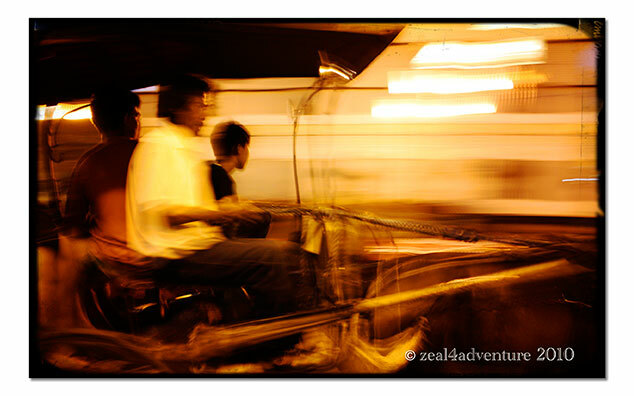 A plethora of sepia scenes & I especially like the last two sepia shots – Great toning! 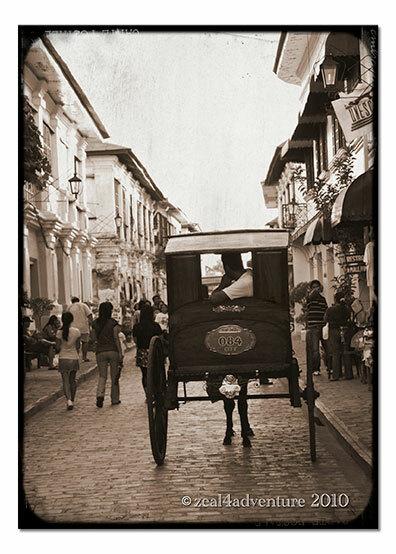 Interesting sepia shots of the horse-drawn carriages. I really like the second one with the perspective of looking down the row of buildings. The lit lanterns offer a nice glow to the evening. This city is beautiful, an era of the past. 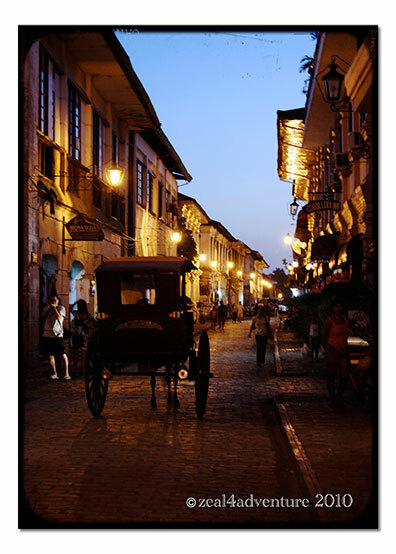 The brick streets may be bumpy, but simply lovely and classy. The architecture is stunning with its columns and balconies so wonderful in sepia. The past is alive here! I love the way you told your story with the progression of images. 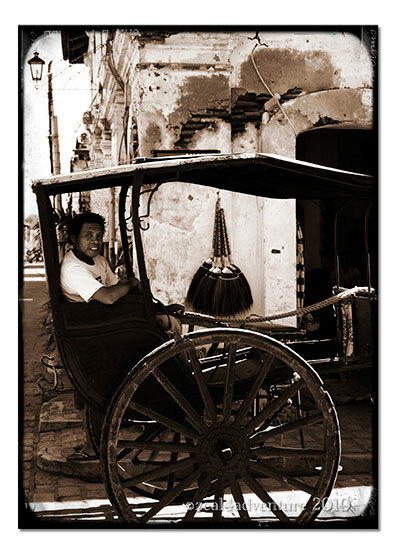 All are very well done and the climax sepias are wonderful examples of how to do sepia toning the right way.